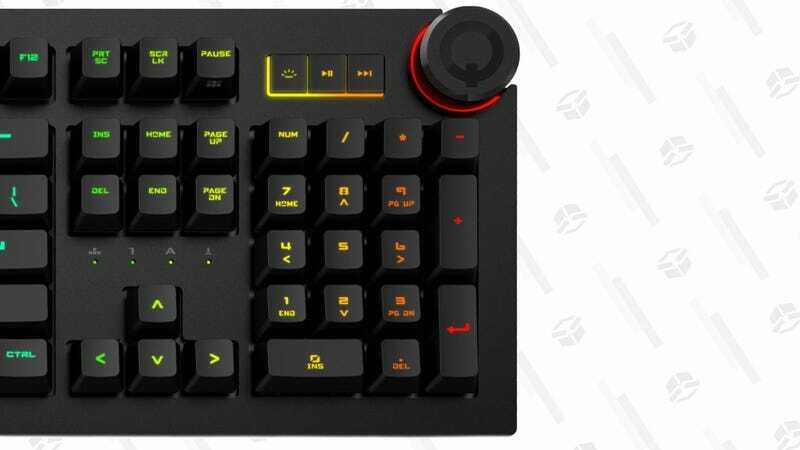 Das has long made some of the best typist-focused (rather than gaming-focused) mechanical keyboards money can buy, and today, you can save $50 on the new Das 5Q, which is another beast entirely. Advanced key switches, aluminum construction, fast response, n-key rollover? That’s all here, of course. But what sets the 5Q apart from other Das keyboards is its smart macro feature. Featuring dozens of built-in applets, and the ability to program your own, the keyboard’s RGB lighting can shift based on things like new emails arriving in Gmail, your RAM usage, Asana tasks, Twitch streams going live, weather forecasts, and more. Whether it’s gimmicky or useful probably depends on how you work, but it’s undoubtedly unique. How Does a Sub-$50 Mechanical Keyboard Compare to a $150+ One?